Looking for that well needed space look no further this quaint 1833 sq ft ranch is ready for you. Walk in to this old school farm house and imagine your self sitting next to the extra large fire place that is placed in the nook area of the kitchen looking out the window as the birds fly around the trees. Don't want to sit around watching out the window go outside walk your 10 Acres of land be one with nature. 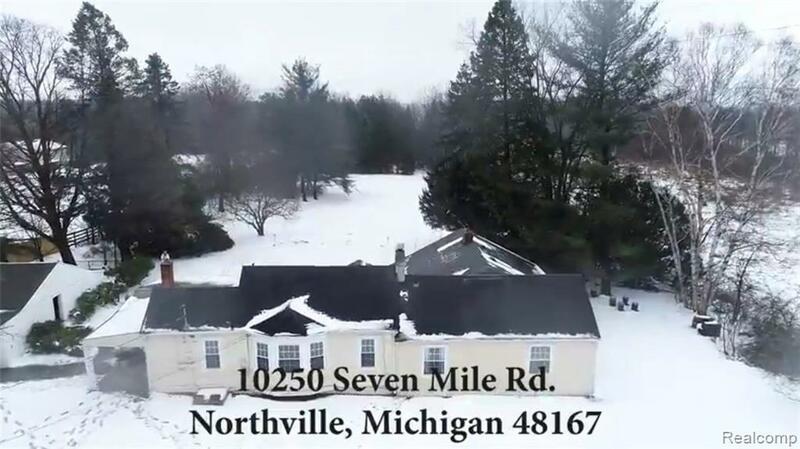 This home is located in the Northville school system which means you can enjoy watching your kids go to a wonderful school system and not have to worry about paying Northville Taxes as Salem twp Taxes are a lot less. Thinking of building look at what you can do with 10 Acres of land let your imagination run wild.